SPS heat shrink termination kits are available to suit all polymeric and rubber LV low voltage power cables (2, 3 and 4 core), 4-300sqmm, this includes XLPE and EPR cable terminations. 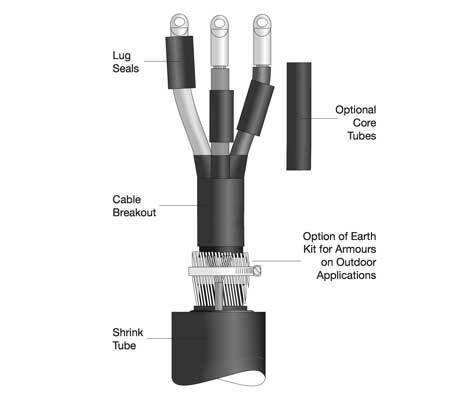 Picture: Outdoor earthing components. If indoor type, the gland kit selected normally takes care of the earthing requirements.